In August 2000, Louis de Branges* was waiting for a train at the small station of Gif-sur-Yvette, about fifty kilometers from Paris. While he was waiting, he sat and thought about proving the Riemann Hypothesis. Enrico Bombieri, too, has had the experience of thinking intensively about a problem and then, unexpectedly and without warning, finding a solution. This time an Italian railway station features in the story. I do not understand most people’s impatience with transit. It can be annoying to be facing a meeting or class start time when the bus isn’t coming, but those times of sitting on the street and watching the world go by are among my best thinking moments, when I am not in my office, and when my mobile is in my purse and can’t be heard. I don’t care that it would take me 10 minutes to drive to USC from my place, and I usually leave an hour before I need to be there if I go by bus. It’s usually a pretty good hour. But then, I don’t have children, work on my own time, and generally have a tolerant spouse who is used to my arsy varsy, meandering manners. And it’s not hours on the train or the bus; it’s minutes longer than driving would be. A friend of mine is reading Dumas for the first time, which is just making froth with envy. Those first days of reading Dumas–exquisite–falling in love with Porthos for the first time. 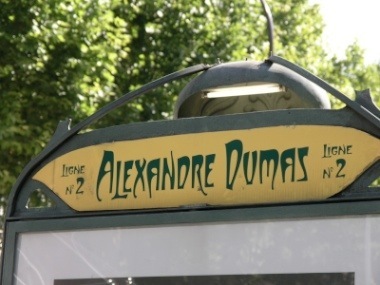 I eventually went back to my high-school language, French, so that I could read Dumas untranslated. When my friend told me she was reading The Man in the Iron Mask, I was thinking that trains played heavily into my thinking at one point, too. 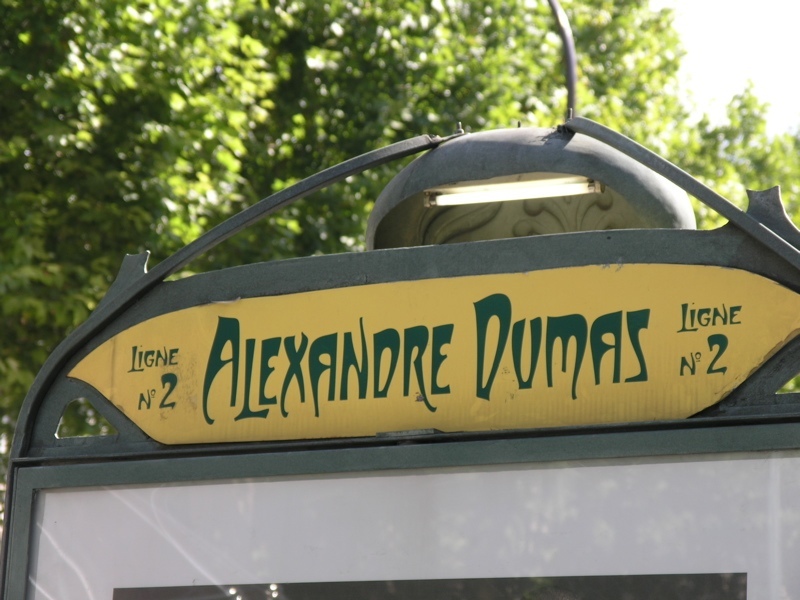 It was waiting at the Alexander Dumas Metro station in Paris in August of 1999 that I decided to apply to PhD programs rather than keep scrambling away at freelance consulting. I can’t believe that’s over 10 years ago now. Time flies.